Cora Currier is on staff at The Intercept and a journalist with a focus on national security, foreign affairs, and human rights. Her work has been published in Stars and Stripes, The Nation, Al Jazeera America and many other outlets. Last fall, my colleagues at The Intercept and I published a series of classified Pentagon documents that highlighted flaws in the military’s drone war in Yemen, Somalia, and Afghanistan. The documents were brought to us by a whistleblower from the intelligence community who felt that the process illustrated in them—“of monitoring people” and “assigning them death sentences without notice, on a worldwide battlefield”—was wrong. They offered rare documentary evidence of what has become an open secret of Barack Obama’s presidency—the program of “targeted killing” of terror suspects by drones or other weapons, away from traditional theaters of conflict. Many ethical and legal discussions about the implications of the rise of armed drones operate on the assumption that drones are perfectly precise weapons systems, deployed in ticking time-bomb scenarios of imminent danger against known terrorist masterminds. 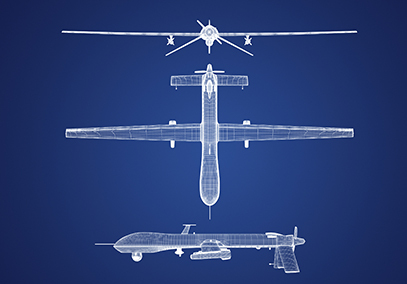 The documents obtained by The Intercept confirm that the reality of drone warfare is much more complicated. They include a 2013 internal Pentagon study that identifies shortcomings in the quality and quantity of intelligence and the technology supporting military strike operations carried out in Yemen and Somalia in 2011 and 2012. The study’s authors found that the military did not have sufficient number of aircraft with high-tech intelligence-gathering capacities to keep an “unblinking” eye on potential targets. The documents reveal that because the United States had limited ground presence in these countries, the military had to rely on signals intelligence from electronic communications and tips from local government partners. This limited the ability to obtain accurate, timely, and reliable information about those being targeted. Moreover, by killing rather than attempting to capture terrorist suspects, these strikes eliminated potential sources of information. From an intelligence perspective, targeted killing operations in these countries were a dead-end. The military framed this conundrum as a problem of resources, which hampered efforts to identify and kill “high value” targets. Yet it also raises questions about who the United States is actually killing in these campaigns and whether they in fact pose a real threat to American national security. The second set of documents published by The Intercept describe a targeted killing campaign in Afghanistan and raise further doubts about the reliability and purpose of targeted killing campaigns. Even in a country where the United States has a substantial military and intelligence presence, the drone strikes produced uncertain results. Statistics for “Operation Haymaker,” which was underway in provinces along Afghanistan’s northeastern border with Pakistan between 2011 and 2013, show that the vast majority of those killed in airstrikes were not the direct targets of the operation. They also reveal that the campaign did not succeed in significantly impacting Al Qaeda and the Taliban’s operations in the region. Many of the victims in these attacks were local militias without international terrorist aims. In May of 2013, around the time that the Pentagon study was circulated, President Obama made a speech acknowledging the U.S. drone program and laying out guidelines imposing new restrictions on operations. He asserted that attacks would be directed only against people who posed a “continuing, imminent threat to the American people,” and who could not be captured. A strike would occur only when there was “near certainty” that no civilians would be killed or injured. Since then, the frequency of drone strikes in Yemen and Pakistan (where the CIA operates a parallel program to the military) has indeed tapered off, along with the rate of civilian casualties. Yet the new rules reportedly do not apply to CIA strikes, or to operations in Afghanistan. Last year, the White House acknowledged that a drone strike in Pakistan had killed two innocent hostages. In Afghanistan, as the United States has lowered its troop presence, airstrikes by drones and warplanes have continued. Recently released UN statistics show that last year, civilians were killed in U.S. airstrikes at the highest rate in seven years. Meanwhile the targeted killing model has been expanded to other conflict zones and is being adopted by other nations, with uncertainty about what legal and policy standards apply. The United States has bombed militants in Libya and launched more than 10,000 air attacks against the Islamic State in Iraq and Syria in the last 18 months. An unknown percentage of these have been drone strikes. The United Kingdom, Nigeria and Pakistan have all recently carried out drone strikes on non-traditional battlefields, joining the United States and Israel as countries that are now engaged in drone warfare. The technological and strategic challenges that have dogged the United States’ drone war will soon be replicated around the world.